Compound or Straight Fertiliser – Which is Best? There are many different types of fertiliser on the market, so how do you know which is the right one for your plants? In our latest blog, we look at the relative merits of the main categories of fertilisers to help you narrow down your choice. The most commonly used fertilisers are compound fertilisers, which contain a mixture of all the main nutrients plants need. These may be either all-purpose plant feeds or else tailored towards a specific type of plant. For example, a good quality lawn fertiliser will usually contain a carefully balanced mix of different nutrients to provide everything grass needs for healthy growth. Compound fertilisers are ideal for general feeding purposes and will usually be applied several times through the year to help keep plants healthy and productive. These contain only one main nutrient, although they may sometimes contain small quantities of other nutrients that help plants use the main one. The main types of straight fertiliser are sulphate of ammonia (which supplies nitrogen), sulphate of potash (potassium), single superphosphate (phosphorus), magnesium sulphate (magnesium) and sulphate of iron (iron). Straight fertilisers are usually used for fixing issues caused by specific nutrient deficiencies, although may also be applied to certain plants at set times of the year when they need large amounts of individual nutrients. The other main division is between organic and inorganic. Organic fertilisers are made from plants and animals and contain only organic sources of nutrients, examples include fish, blood and bone and bone meal. These tend to be slower acting, but many people prefer them as they feel they are more environmentally friendly. Inorganic fertilisers are either created synthetically or are made from naturally occurring minerals obtained from mining. They tend to be more concentrated and faster acting than organic fertilisers. Straight fertilisers are almost always inorganic. With so many different options to choose from it can be hard to know which fertiliser is best for your specific needs. That is why the team here at Proctors are always happy to provide advice and guidance. Please feel free to get in touch and we will discuss your requirements with you and help you find the appropriate products. 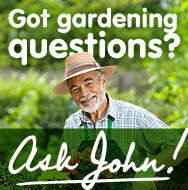 Call Proctors today on 0117 311 1217 or, if you’ve got a specific question, why not Ask John?